As a lover of the written word, there's not many things I love more than sitting down with a good book. There's something so immersive about the written word that has been such a special part of my life for many, many years. But some of the books that have been the most impactful in my life, even in my teenage years, have been books that were originally intended for children. Here are a few reasons why. 1. I have learned my sense of wonder through these books. 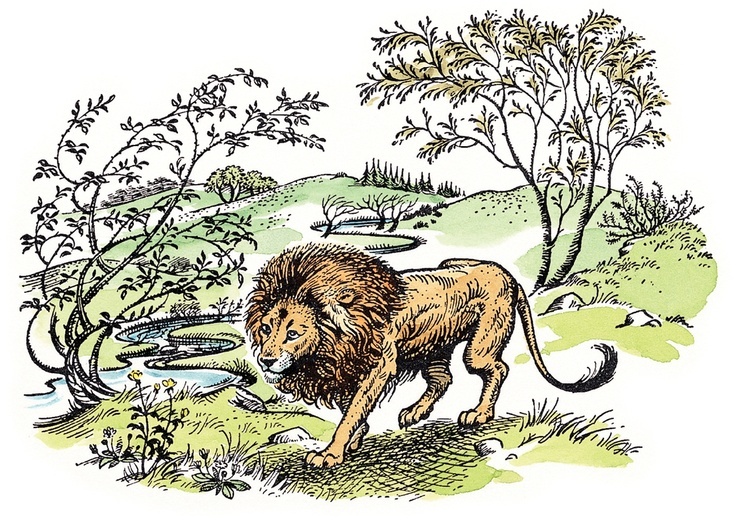 Children's stories have elements of life that are so essential. They remind me to look at life through the lenses of love and joy and constant discovery. Children are learning and growing every second, and it's so important to maintain that joy throughout life. The greatest example of this in my life would be The Chronicles of Narnia by C. S. Lewis. These dear books have made me realize how much life is worth and how much wonderful, wonderful good there is in the world. But in addition to that, it didn't shy away from evil. It taught me that we should fight it and never let it win. 2. I am encouraged to use my imagination to its fullest capacity. In adult literature, everything tends to be literal and linear. But in children's literature, nothing has to make sense. Life can be improbable and mysterious and strange. There can be talking animals and other worlds and over-exaggerations, and it can all be good. You can be the chosen one, you could make new friends, you could do anything. Matilda has been exceedingly dear to my heart in the past or so. This young girl knows how wonderful and essential imagination is in life, and so she fights back against the people who say otherwise. She's brave and strong, and that's what I can think imagination can bring us. 3. These books have taught me to never give up on the important things in life. Both The Chronicles of Narnia and Matilda have reminded me of this essential truth. 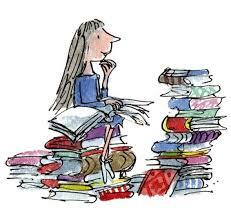 Matilda fights for her freedom from oppression from those who would put her natural intelligence and spark down. She fights for the rights of imaginative children and grownups everywhere. The Pevensies fight for freedom from the White Witch. They fight for their brother Edmund when he betrays them. They fight for love, freedom, peace, and joy. It's powerful and inspiring in my own life. 4. They have taught me to love long and deeply and have compassion. Especially as I grow older, my heart has opened wide for everyone. I have been blessed deeply by characters who wear their heart on their sleeves and give of themselves completely to others. We weren't made to focus entirely on ourselves. I love stories that remind me of this simple truth. The Giving Tree is still one of the most beautiful stories that I have read in my life. As a Christian, it reminds me of the wonderful and impossible love that Christ has for us. He gave us everything, and yet we wander from Him again and again. I want to be an example of this love in everything I do. Again, Lucy Pevensie has been one of my favorite characters for many years. She's sensitive and caring and she gives her heart away instantly. This may sometimes cause her pain, but far more often it is a joyful experience. She may be a young child, but she understands so much of what life is truly about. What kind of books have influenced you? Why do you like children's books?